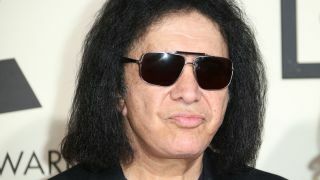 Gene Simmons says people with heart problems should lead healthy lifestyles to protect themselves. The Kiss bassist and vocalist was diagnosed with atrial fibrillation 10 years ago after he began feeling unwell during during a performance. He says: “We were on tour somewhere and the stage temperature goes up by about 100 with all the stage lights. My heart would go, ‘Ba boom, ba boom.’ I started perspiring, getting dizzy and short of breath. But Simmons says that, while he is prone to symptoms, he gets enough sleep and drinks a lot of fluid to prevent another scare. He adds: “For the record I’ve never been high or drunk, never smoked. You’ve got to lead a healthy lifestyle. Atrial fibrillation is an irregular heartbeat condition which generally affects older people and those with heart disease, high blood pressure, thyroid problems, kidney disease, or diabetes. For more information, visit the NHS website. Meanwhile, Kiss are set to play Orlando’s Moonstone Festival in April, with performances scheduled at Wyoming’s Cheyenne Frontier Days and North Dakota State Fair later in July.